When Abbi discovers that she's to be handfasted to her best friend Carter during the Litha Celebration, she does the first thing that comes to mind - run! As she's hiding from her best bud, and her family, she ends up spilling the entire tale to her long-time crush, Finn. But when Finn offers to help her out, she wonders if maybe he thinks of her as something more than his cousin's pesky friend. 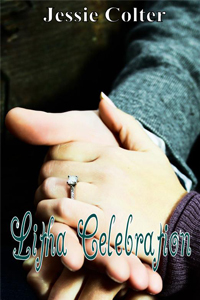 Is it possible that on this Litha Celebration all her dreams will come true? When Annabel meets Cal, it’s love at first sight. But after a strange dream, she starts to wonder if perhaps there’s something more than destiny bringing them together. She knows in her heart that she loves Cal, but will that be enough for her to get the one Christmas wish she wants more than anything? Morgan Raines transferred to a new high school his senior year. Starting over doesn't bother him, but finding his mate pinned to her locker by her Neanderthal ex-boyfriend does... From day one, Morgan and Skye are inseperable, despite the fact her ex keeps getting in the way. But will Skye's feelings change when she realizes he turns into a panther every time the moon is full? Or can true love conquer all?